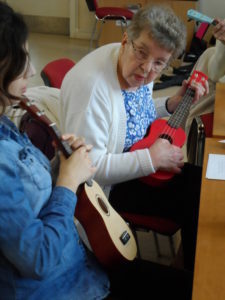 ‘Thanks to our partnership with LUUMIC and our mutual interest in music Caring Together has been able to bring something a little extra to our members this term. 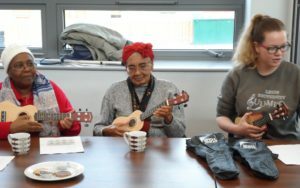 In the past we have reminisced, then listened and sang along, now it was our turn to get to have a play-along and try an instrument for ourselves. 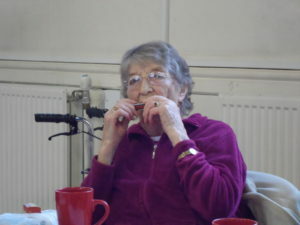 And for one member to join in using her own instrument: the harmonica’. ‘A big thank you to Betsy, LUUMIC President, and all the students and our members who gave up their time to make this a fun couple of sessions’. 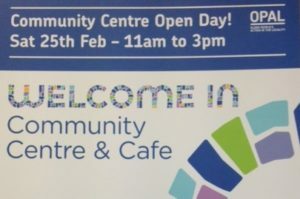 We are looking forward to our second session in March. 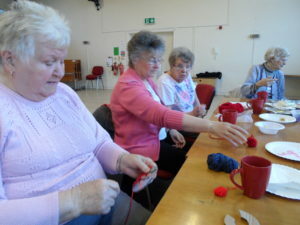 The Leeds Benevolent Society for Single Ladies (registered charity No 1155794) have approached Caring Together with the aim of providing an initial 3 years of funding to support our project work. 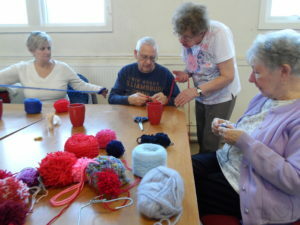 The society is a charitable foundation that assists elderly single ladies or spinsters who reside in Leeds. Caring Together is delighted with this offer and wish to offer our thanks to the society from all of our staff, trustees and members. The funds will be used to support our advocacy support work within Woodhouse and Little London. 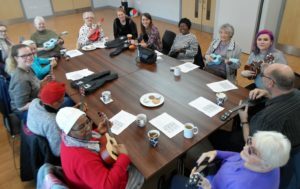 The Bhole Bisre Yaadein (Forgotten Memories) group at APNA Day Centre resumed back after a 2 month break on the 26th January. Caring Together has been fortunate to have received invites to this wonderful group in the past. The evening, held once a month from 7 pm -9.30 pm consists of poetry recitals, Bollywood and Panjabi sing-a-longs and playing memory enhancing games. 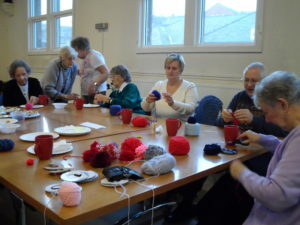 The picture shows a snapshot of those attending one of the evenings including Caring Together members. 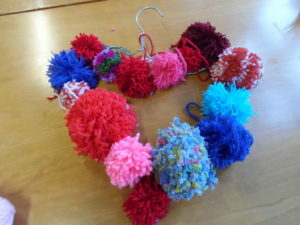 Caring Together members made a Valentines Pom Pom at the Tuesday Group yesterday. 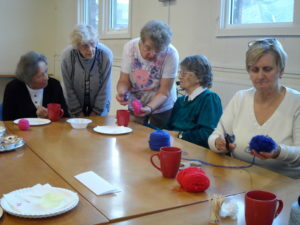 Members talked about how this day has been observed over their lifetimes and their own memories.